Golden Boy's Tony Shalhoub embraces his wife, actress Brooke Adams. 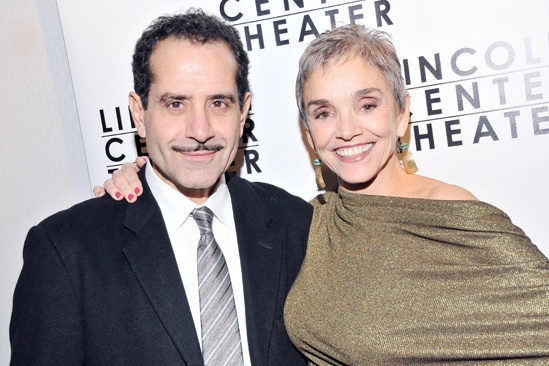 The couple starred together in the 2010 Broadway revival of Lend Me a Tenor. Clifford Odets' Golden Boy opened on Broadway on December 6, 2012.